New wallpaper is an easy way to change any room for the better! Large print or plains, classic or modern, an accent wall or a whole room - in our shop you will find a wide selection of all colours and styles. Here you can find wallpaper from a lot of well-known, international brands. 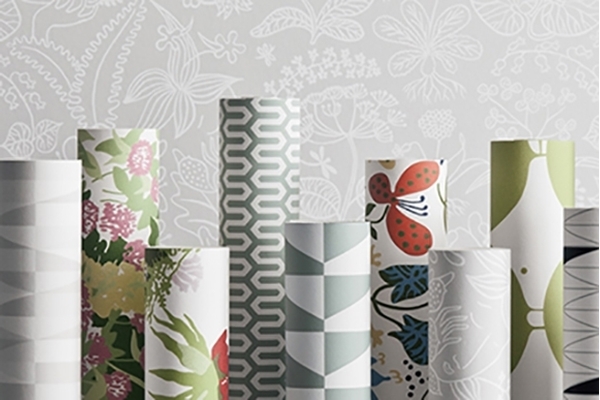 Since we are a Swedish company we have a large selection of great Scandinavian wallpaper brands such as Boråstapeter, Engblad & Co, Ferm Living, Duro, Mimou and many more! We also carry most of the large international brands. Look around, use the search bar to find a particular wallpaper using its name or article number, or choose your desired colours and/or styles in our filter to see our selection.